2507 Freedom Lane, Copperas Cove, TX, 76522 - Photos, Videos & More! This Beautiful spacious home features a stunning kitchen with granite countertops, breakfast bar, breakfast nook, newly updated appliances that will stay with the home including washer and dryer, and gorgeous French doors that lead you to the covered back patio. Four solar tubes in the home that the seller had professionally installed, that gives you more natural light and comes with a warranty. Freshly painted rooms. HVAC system that was replaced two years ago. The Dining Room gives you immaculate views of the front yard where the deer roam. Ceiling fans throughout. Very spacious walk-in closets in the bedrooms including the jack and jill bathroom, and two large walk-in closets in the Master bath. 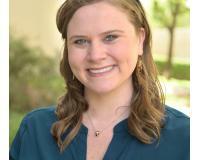 Katie Lively values customer service, hard work, and to understand and meet her clients' needs. With a background in recruiting, Katie has worked to understand the strengths of job seekers and has directed, trained, and negotiated on their behalf resulting in hundreds of people finding employment. She now combines her extensive customer service experience and love of real estate into her full time profession. Katie is originally from St. Louis, MO and has grown to love the DFW area after moving to the Lone Star state over 10 years ago. She has a Bachelor's in Business Leadership from the University of Dallas and is passionate about the real estate market, education reform and community outreach. Priding herself on her strong work ethic and dedication to her craft, Katie seeks to work with both buyers and sellers in meeting their real estate goals. So if you are currently looking to buy, sell or rent a home and need someone to lead you along the way, Katie Lively is happy to join you on this exciting journey as your REALTOR.